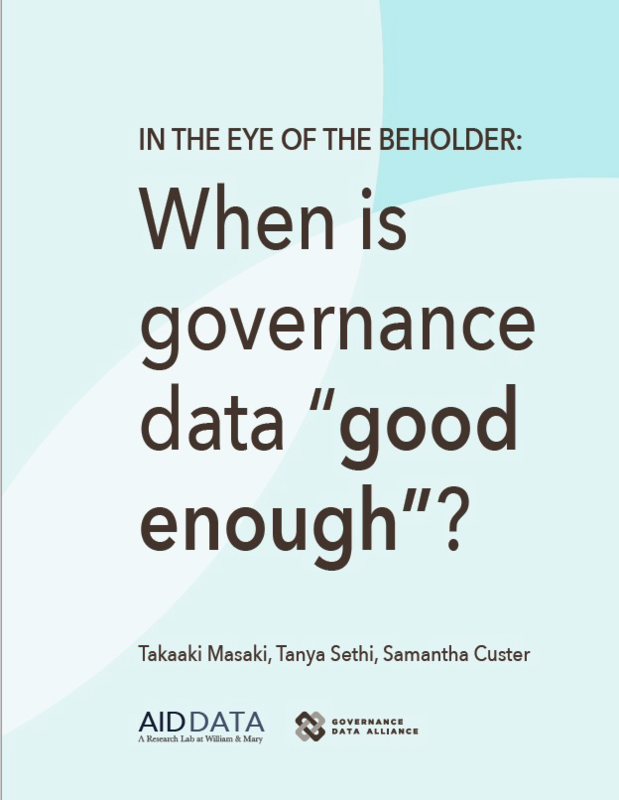 AidData | In the Eye of the Beholder: When is governance data "good enough"? Masaki, T., Sethi, T., & Custer, S. (2016). In the Eye of the Beholder: When is governance data “good enough”? Williamsburg, VA: AidData at William & Mary and the Governance Data Alliance. Delivery Channels: How do these leaders find or source governance data? Over 500 leaders shared their firsthand experiences in advancing reforms in their countries and the role of governance data in that process. 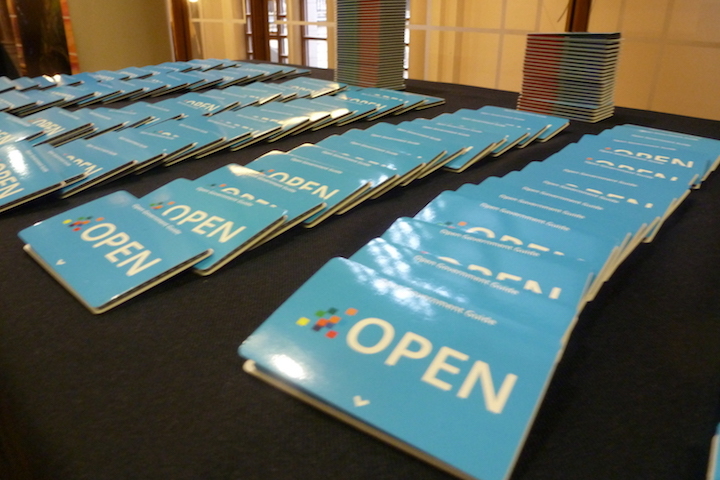 Snap poll participants evaluated 28 governance data sources (see the collected 2016 Governance Assessment Profiles) produced by a wide variety of multilateral organizations, bilateral agencies, and civil society groups. Based upon their responses, we present four key takeaways. 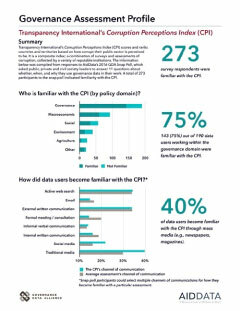 Broad-based communications still have sway, though the delivery channels leaders use to find governance data varies by where they work. Governance data is predominantly used to conduct research and analysis; however, specific use cases appear to be shaped by different organizational mandates. Most survey participants found governance data to be salient and helpful in their work, but this data is reportedly most useful when it is also perceived to be relevant and credible. Governance data that fails to take into account the local context is seen as irrelevant and lacks credibility when it is not transparent in methods and assumptions. Funding: Commissioned by the Governance Data Alliance, this study was made possible with financial support from the William & Flora Hewlett Foundation and the Omidyar Network.